This tutorial will help you to make your account never expire by four different methods, that will help you to not change your password every period of time and you will only use your current password forever, follow the below steps to make sure and guarantee a successful result. 1. 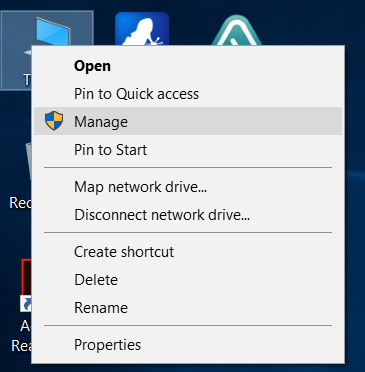 Right-click “This PC” from your desktop or start menu, and then click on “Manage”. 2. Navigate to “System Tools -> Local Users and Groups -> Users”, and then right-click the user that you want to set a non-expired password, and click “Properties”, like the below screenshot. 3. Make sure to check “Password never expires” and then click OK.
4. 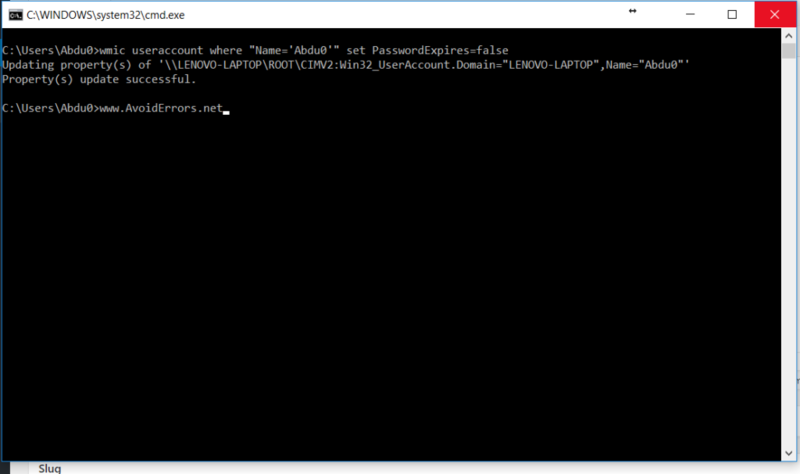 Now it’s done, but to make sure that the password will never expire run the below command on CMD “Command Prompt” to make sure that the password will never expire. 1. 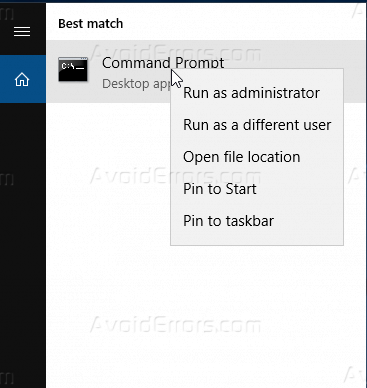 Run CMD with administrator privileges from the start menu. 2. 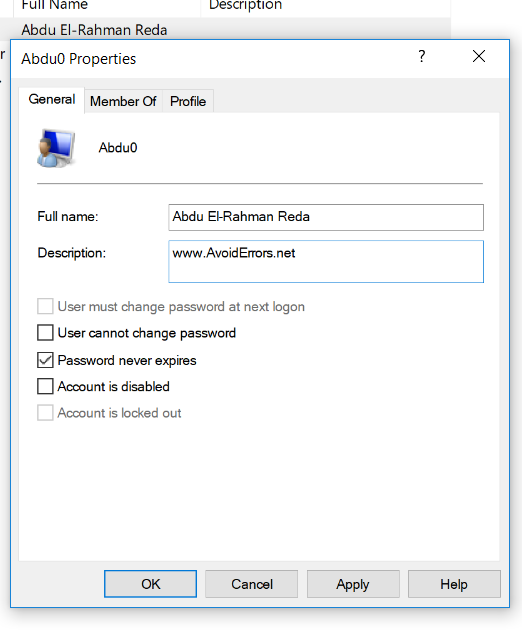 Copy and paste the below code with replacing “Abdu0” with your current windows user. 1. 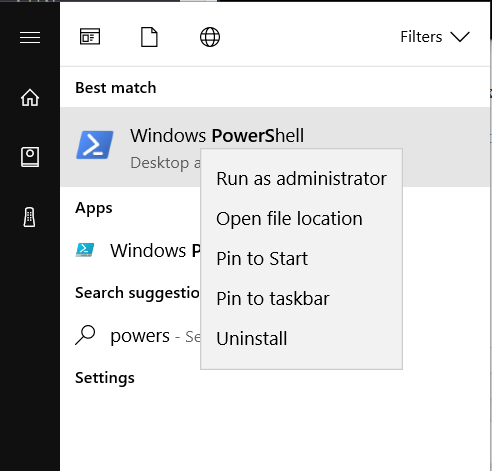 Run “PowerShell” with administrator privileges from the start menu. 2. 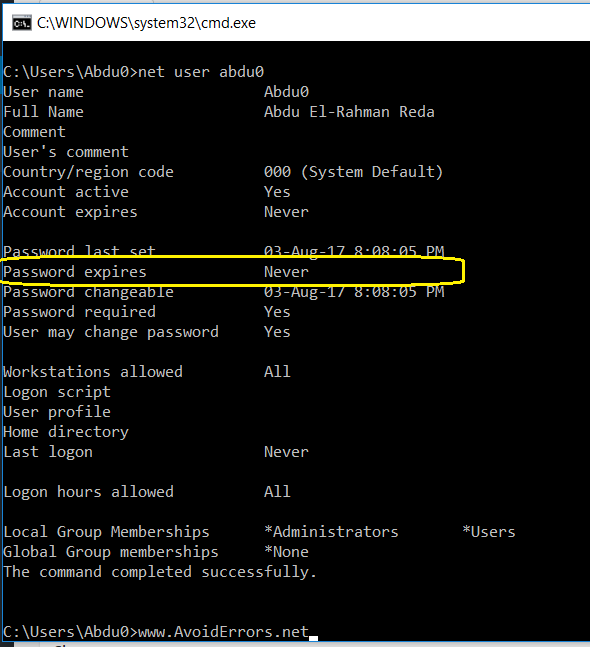 Copy and paste the below command with replacing your account username instead of “Abdu0”. 1. 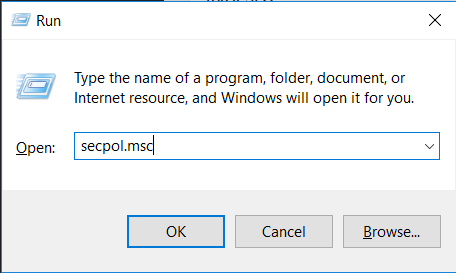 Press Windows key + R, and type “secpol.msc” and then hit Enter. 2. 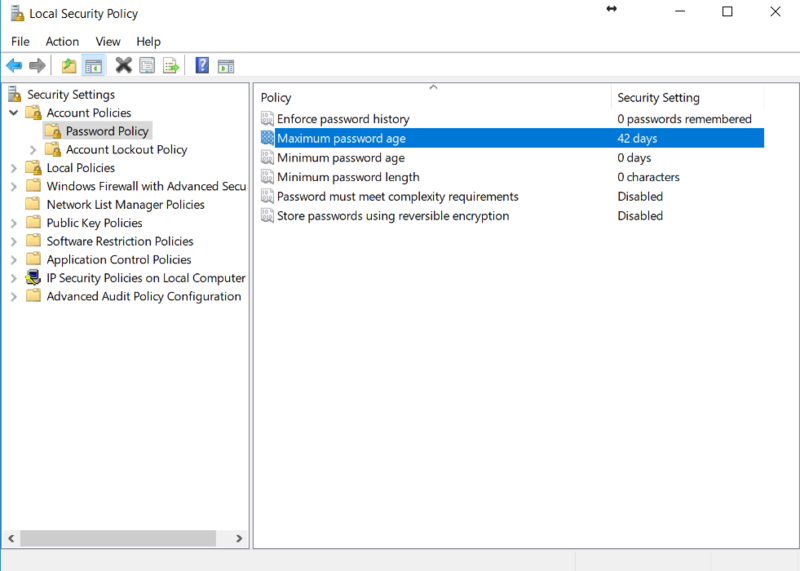 Navigate to “Account Policies -> Password Policy”, and double-click “Maximum password age”. 3. 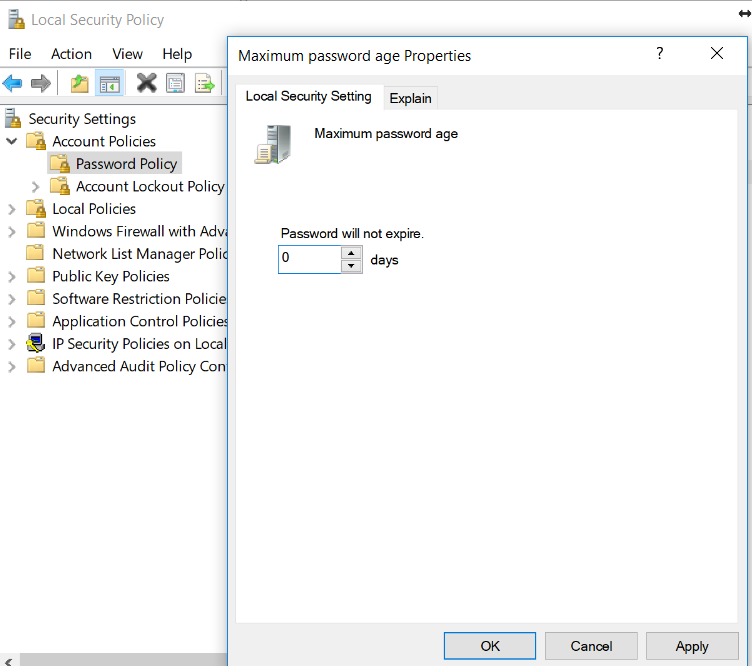 Make sure to set the value of days to Zero “0”, just like the below screenshot, and then press Ok.
After this guide, you should be able to know how you can set your account password to never expire by four different methods.